BANGKOK, Nov. 6, 2018 /PRNewswire/ -- Digital industry is a significant driver of Thailand's economic transformation strategy, as the country has been moving beyond capturing the global digital evolution for years. With the Thai government's supportive Thailand 4.0 policy on national infrastructure improvement, extensive efforts to develop a complete ecosystem to nurture digital economy development in Thailand are clearly visible with numerous projects recently on full gear ahead. 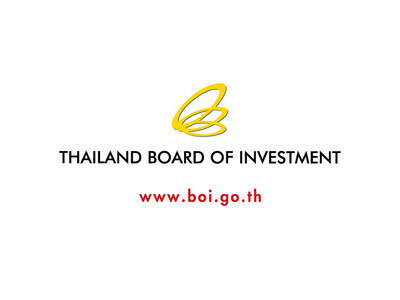 During the first half of 2018, foreign direct investment (FDI) application for investment incentives from the Board of Investment of Thailand (BOI) has amounted to $US 204 million from 68 projects, second to only automotive sector, the country's top champion industry of all time. The Thai government recently approved the public-private partnership plan for the Digital Park Thailand (EECD), one of the flagship developments under the EEC scheme. The EECD is a new industrial estate aiming to be the destination for digital business and global digital ventures. The park is surrounded by a regional logistics hub, strength of numerous world-class digital production, and well known academic institutes, foster thriving digital innovation ecosystem. The bidding process for the project is set to begin in November 2018. BOI has offered the incentive scheme to attract more investors to participate in the biddings. Both soft and hard infrastructure investments recently pushed forward by Ministry of Digital Economy and Society are being developed to ensure the country is ready for the new digital era and providing the best investment opportunities for investors. By actively pursuing e-Government services to increase the competitiveness of the Thai government, Thailand's E-Government Development Index (EGDI) ranking increased dramatically within two years. The government's mission is to drive transformation and achieve governmental integration, smart operations, and citizen-centric services. Thailand also offers abundant and competitive high-skilled labor within both business and technology related areas. According to the Office of the Higher Education Commission, Thailand has a relatively high number of graduates in tertiary education. In the first semester of 2017 alone, the country produced 34,158 university graduates in fields related to science, mathematics and computing as classified by the International Standard Classification of Education (ISCED). As the country strives to develop a higher technology economy, Thai people are leading the cyberspace race. According to the "Digital 2018 Global Overview," published by Hootsuite, a social media marketing and management firm, the country tops global internet usage chart in 2017 with 82% internet penetration. Thai people are also heavy internet users -- spending 9.38 hours per day online, and 90% of these users access the internet every single day! Rapidly evolving digital infrastructure and high capacity of human capital in place build up a highly attractive ecosystem for both foreign startups and investors. Incentives for investment projects in digital industry conducted in collaboration with educational institutions to develop human resources in Digital Park Thailand (EECd) include corporate income tax exemption for up to 13 years. In particular, target activities in the EECd that are entitled to maximum investment incentives are, for example, software development, digital services, digital park, data center, innovation incubation center, cloud service, R&D, and relevant services. With supporting ecosystem in place and digital industry growing steadily, Thailand's transformation is set to take off to new heights toward the digital economy, making the country emerge as an unprecedented digital hub in Southeast Asia, the world's fastest growing region.